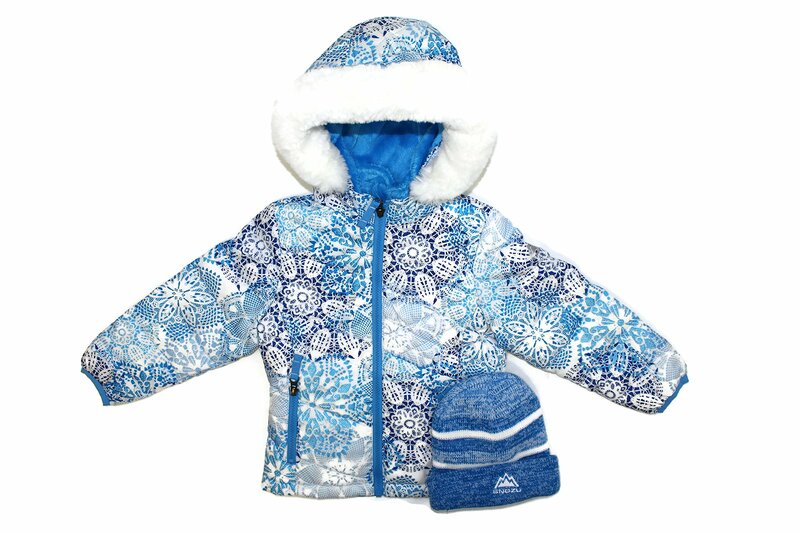 This is an exceptional girls hooded jacket with lined matching beanie from Snozu. It features an ultra clean down which which undergoes a special sterilizing process that makes it hypo-allergenic. The inside hood and body of the coat is lined with faux fur. It has a full duel zip closure and zip front pockets.